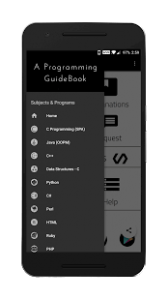 App is a Programming GuideBook for IT/Computer Science Students & Professors to help them with the aspects of programming. From an Engineer to a Ph.D., everyone can rely on this app. App does not teach programming, it acts as a reference for programmers. App was designed on the principle that students who already know the concept of programming shouldn’t keep knocking their head for no reason during Assignments/Practicals. This time can be utilized for more productive and research purposes. The education system teaches us what to think, not how to think. The system mentally tortured us for no reason and we do not want any other student to go through the same what we did in our own engineering days. Please support us by buying the PRO version. The Like button needs Facebook Installed & the Explanations Tab is powered by Chrome. Please Use Chrome to avoid unnecessary crashes. Many programming examples to be added in future updates. Bookmark feature might be very helpful. 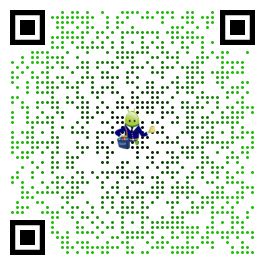 Amzaing app btw.. thanks! We are working on it. Thanks! We are trying to fix the issue. It’s so useful for me. I like the app.the contain a lot of things.which is very good….